“Is he sleeping through the night?” asked the cashier at the grocery store. I smiled and answered. He was trying to be nice, and I was trying hard to remain calm and be polite. I knew that he was trying to make easy, pleasant conversation, and bring up the fact that he too has a baby. Inside, my blood was boiling. I think I have become a bitter mom. When it comes to being a parent, I feel constantly judged by others. 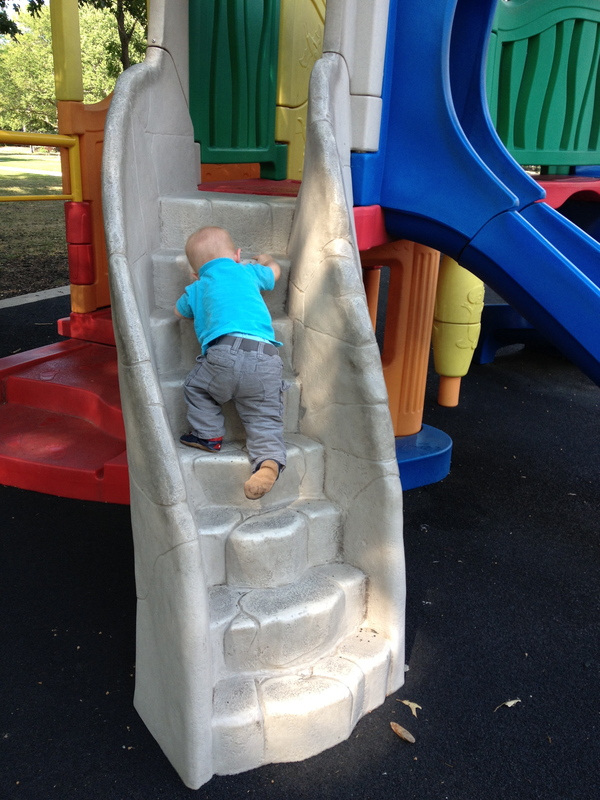 Questions about my son’s size – he is in the lower range of the percentile charts – seem to have become acceptable conversation for everyone, including parents in the playground who I don’t know. Questions about his sleeping habits are also common. I know I am not the only one who deals with this, and to be fair I have probably made these same questions to others – especially before I became a mother. What I now realize is that parenting is personal, and while many people have very strong opinions about certain aspects of it, including myself, I think we would all be much happier if we could just keep these to ourselves and for those times when we are asked for our opinion. 1- I will not judge others for how they choose to feed their children. We’ve made the choice of breastfeeding beyond 12 months, and of feeding our son varied meals, but no sweets, juice or junk food – I don’t see the need to feed him ice cream or cake just yet. This is what works for us, what others do, whether it is bottle feeding from day one or giving theirs kids cookies, is really none of my business. 2- I will not make comments about other kids’ sleeping habits. We decided as a family that “crying it out” was not for us, and have we heard comments about how wrong we are! –some people even have told us that we should change our sleeping arrangements, as if that is not out of line. However, I understand that for others CIO works great. Since I am not in their home at night, I am not one to comment or judge how people teach their kids how to sleep. I’ll throw in one more thing I won’t do, because I am sorry to say that I have internally judged others, even if I haven’t even told my husband what I think! 3- I will not think anything of moms wearing pj’s outdoors. Getting ready in the morning is a good habit to have, even if it is just for your own emotional well-being, but I don’t know what happens in those homes in the morning, so I should not judge. Just please, don’t think badly of me when you see me around town with crazy hair! Back to my grocery store story, I was happy to let the cashier know that my son had started to sleep through the night recently, although even if he hadn’t, I would have said, “Not yet” and moved on. Sadly, I have caught myself making excuses to complete strangers for why my son is small – trying to avoid being thought of as a bad mom who doesn’t feed her child. I have since stopped, realizing that adults commenting about a child’s weight is never OK, unless you are his doctor or parent, even if is to say that they are skinny. Bitter? Maybe. But also trying to be strong and determined about my parenting choices and not judge others in the process. Have you experienced these types of comments? What are your playground conversation pet peeves? And, are you as guilty as I am of judging others? It’s true that most people are simply trying to make light conversation, or open a way to talk about themselves. Hopefully you don’t have people saying “What’s wrong with him?” We have an adult son with intellectual disabilities. When he was smaller and kids innocently asked that question I would reply as simply and honestly as possible. When adults asked that question I just said, “Nothing. He’s perfect.” That always shut them up! Keep doing what’s right for your family. Ugh! I am sorry you’ve gone through that. No one has asked that about my son, but I’ve gotten similar questions about my mom, as well as what I call “the look”, who has been ill for quite some time. As adults we should know better than ask that question. Great answer, though. I will remember it for the future. Thanks for reading! Olivia, although I’m not a mom, I’m always surprised how many strangers or people I barely know comment on or inappropriately ask about the fact that we don’t have children. Yes, we have been married for 4 years — and no, we’re not thinking about kids right now. Even though our “situation” is 100% by choice, I always think to myself — what if they were asking those questions to someone who couldn’t have children? Or was having trouble getting pregnant? Or recently lost a child/pregnancy? Those can all be so devastating, and I’m sure people going through them get the load of questions that I do. I think these questions are so personal, I’m always surprised when people outside my circle of family and close friends feel it’s appropriate to discuss it with me. Your post definitely struck a chord with me! I agree whole-heartedly! Thanks for reading, Jamie! We were married 5 years before we decided to have kids, we heard that a lot! I don’t think that people are trying to purposely be hurtful, but we often don’t realize when we are being insensitive. The question that bothers me is, “when is #2 coming?” Not that it is any of your business but I have a heart condition and there will be no #2 (at least I won’t be having another baby) but thanks for making the conversation super awkward! That is a recurrent one, isn’t it?! I am sure I am guilty of having asked that myself, though. Thanks for reading Lemon Water!